We've expanded our vegan-friendly range in time for the summer – and it's already getting lots of people talking on social media. The range is fully accredited by the Vegan Society and features plant-based burgers and sausages that cook straight from the freezer. Diane is one of the customers who's been posting about the new selection. She shared this great picture on Instagram, saying: "Wow Asda Why don’t I always do my food shopping here? What a great range of #vegan food they do! 🌱💚"
There are three burger flavours to try – Butternut Squash, Sweet Potato & Red Pepper, Edamame, Asparagus & Mint and Beetroot & Spinach. 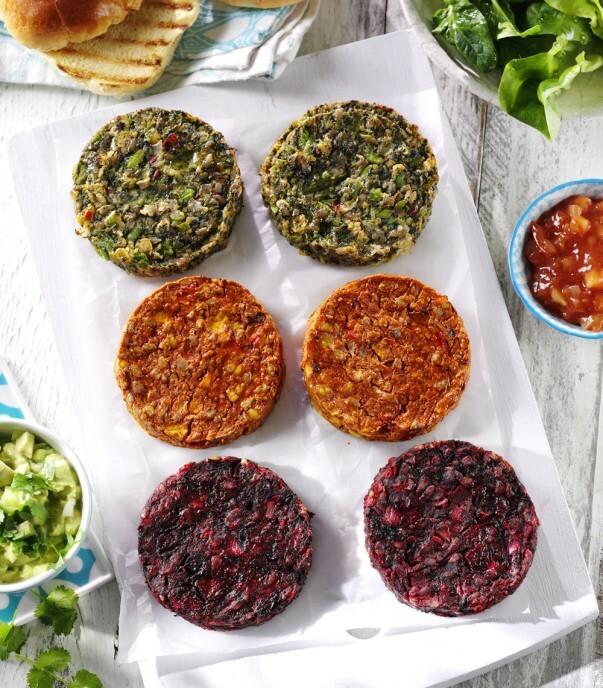 We've also added delicious Butternut Squash, Sweet Potato & Red Pepper Sausages, Mushroom & Kale Sausages, Spicy Bean Burgers and Sweet Potato Falafels to the range. They're all available in selected stores and online for £1.50 a pack.